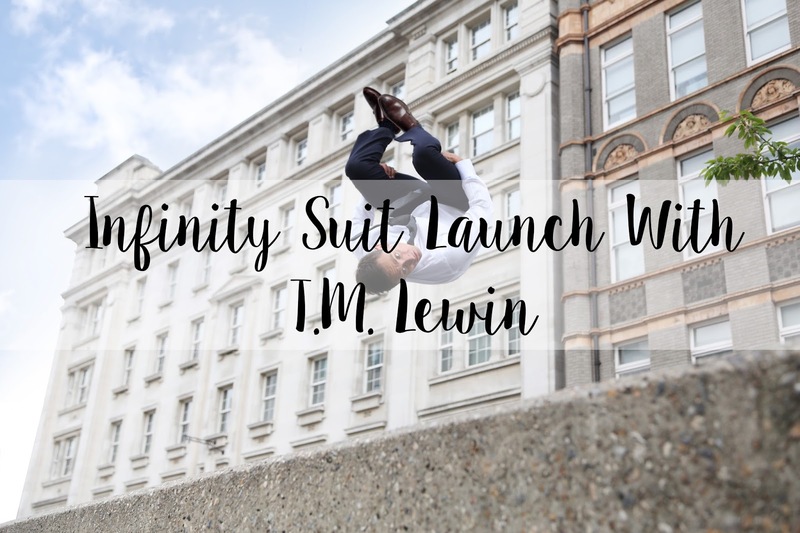 Today is the day, T.M Lewin have launched their new infinity suit! How exciting! So first thing's first, you may be questioning what the Infinity Suit is and that is why I am here! 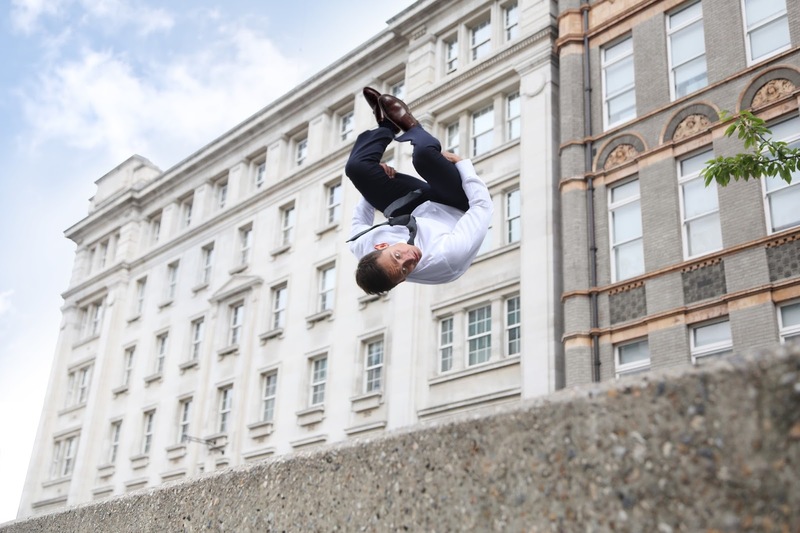 The Infinity Suit takes inspiration from finest traditions of British Cloth manufacturing. T.M. Lewin want to help their customers look as good at the end of a busy day at work, as they do at the start after putting on a clean, freshly ironed suit. The Infinity Suit offers more protection than any other suits against creasing which will help any man, maybe even your man, to stay looking sharp all day. Not only does this Infinity Suit include crease resistance, but it also absorbs any excess water, leaving you feeling cool and comfortable even throughout the hottest day. This is perfect for the current weather here in the UK where temperatures are on the rise but you still have to look smart and crisp for work. On the plus side, wouldn't it be cool if this suit also turned you into Superman, or maybe even batman? This Infinity Suit is absolutely gorgeous and is available online in Navy and Charcoal, both also in slim and regular fit. Personally I would love to see my man in a regular fit charcoal infinity suit. Now he would be more handsome than ever! If you paired this suit with T.M Lewin's Non Iron Shirts too, you'll look great all day. At this moment I would like to mention Chase Armitage, the model of the Infinity Suit. He is overall and incredible person with over 60 productions under his belt, while having worked all over the globe. How incredible is that? 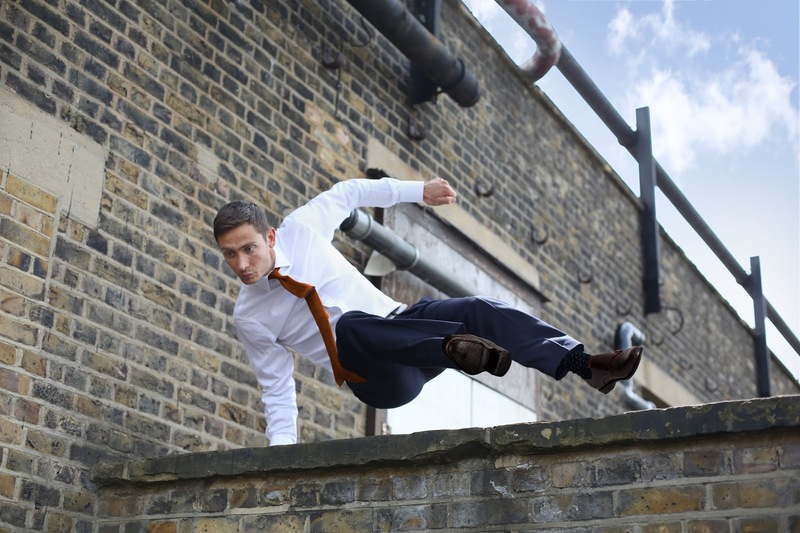 Chase is able to demonstrate how resilient this suit really is, and if it can survive a free running trip across London and still look perfect, then it can survive anything. Do you commute to work by train every morning at 8am? Or do you cycle to work because it's easier than driving into the city centre? You may also be one of those who gets caught in every single traffic jam. This Infinity Suit will still look great through all of these commutes, leaving you feeling comfortable even through the worst nightmares of a busy life. Obviously the new Infinity Suit is now out on their website, however I thought this small clip was too cool to add to this post, doesn't it just remind you of James Bond? Thank you for reading everyone! Let me know what you love about their new range! Make sure to follow me on Bloglovin and all of my other social media accounts.